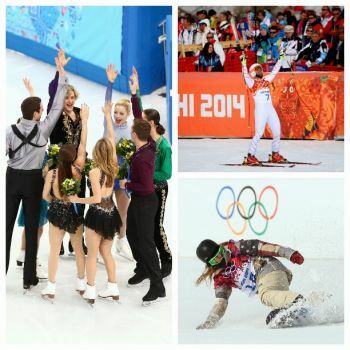 What Do Olympic Athletes Eat to Compete at Sochi? All Olympic athletes, whether they are competing in alpine skiing, the luge, figure stating, or curling, know that the food and nutrition consumed during training and competition are key factors in helping them bring home the gold. "Training diets are usually higher in calories, protein, vitamins, and minerals than competition diets. This is because the athlete is working harder during training, often two to three times a day at high-intensities, building both strength and power," claims Chris Rosenbloom, PhD, RDN, who worked with athletes at the Atlanta Olympic Games and is the editor of Sports Nutrition: A Practice Manual for Professionals. According to the US Olympic Committee Sport Performance Division, consuming a diet rich in antioxidants such as fruits, vegetables, and grains is also important to fortify the athletes’ immune system prior to traveling and competition. Since athletes fuel their bodies and stay hydrated with foods and beverages that are familiar to them,TeamUSA also sent sports dietitians to Sochi prior to the competition. Their job was to assess the availability and safety of the foods that are being served to the athletes in the Olympic Village. Did the Biggest Loser Really Have a Winner?